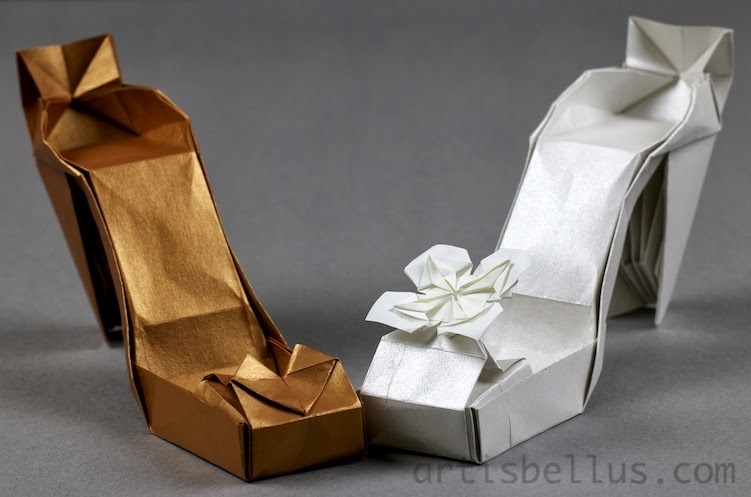 Our local origami group was asked to fold origami high heel shoes for a charity event, and I came up with this idea. The High Heel Shoes are my design. 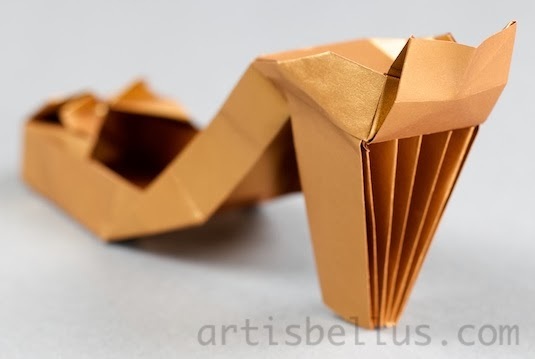 Each shoe is folded with a letter size sheet of paper, that I cut into two rectangles. The sole is folded with a 5½" x 11" (140 mm x 280 mm) rectangle and the heel is folded with the remaining 3" x 11" (76 mm x 280 mm) rectangle. No glue is required. I used Copper Stardream Metallic 80lb Paper and Wausau Paper Metallics Premium Paper, White Silver . I decorated one of them with a Wildflower (also my design), folded with a 3" (75 mm) square of origami paper. 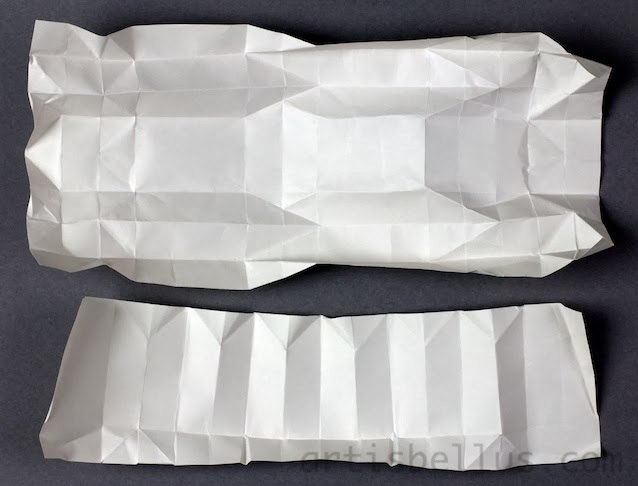 I did not make diagrams, but if you want to give them a try, here is a picture of the unfolded shoe (sort of a crease pattern), and a picture that shows a detail of the heel.